Sorry, men. This one is about menses. Since I haven't checked in on all you women since the DivaCup Challenge last year and I have a lot of new readers, I thought now would be a good time to get an idea of how you manage your menses. So, ladies... unless you are menopausal (natural or otherwise) or your family has relatives that closely resemble New World monkeys, let us know how you manage things. And guys, don't feel left out. If you have a woman in your life, feel free to vote on her behalf because, if you are reading this far, you probably know her feminine hygiene habits well enough for this highly scientific poll. I generally use a Keeper, but I'm thinking of making some cloth pads for lighter days once I get my sewing act together. The pre-made ones are so expensive! I still think you should add birth control to the list for those lucky 10% that birth control stops everything. LOL Keep up the good work. Hi! I am a brand new reader (here via Gray Matters blog) and I love what I have read so far. Very inspiring! What I generally do is use tampons for the first day and then switch to mama cloth (cloth pads) for the remainder when things lighten up. This may be the year I try the Diva, though! I have been wanting to for some time, but have been pregnant/nursing for the past year. Wow! Did you check out the statistics? 53% of the people who read your blog use the DivaCup or similar product. Thanks are due you for promoting it. I think they should give you a cut of the profits ;). If you (and Liz from PocketFarm) hadn't mentioned, I would never have known it existed :). I'm also really impressed that so many people are using it. Of the 3 of us who bought them together 2 years ago, I'm sadly the only one still using mine. Diva Cup, thanks to you, Crunchy. I found your blog just after the conclusion of the challenge, but I've been using it ever since. Love it. Thank you. I have a Keeper, but I mainly use cloth pads, because my period is light after the first day or two. They are so comfy and umm, non-intrusive. If you can't make your own, I reccomend looking on Etsy.com for affordable hand-made pads. I rescued it, but unfortunately he had punctured it with a well placed canine tooth. I ordered another one... and was pleased to note that in the 4 years since I last ordered they have made some improvements! It seems much more flexible and easy to insert. And... (gross observation) it isn't staining like the last one. I am totally sold... I have saved so much money and prevented so much waste from entering our landfill or sewage treatment plant! I'm still debating about the divacup. I'm finishing the tampons I had stockpiled and I'm thinking about switching. I'm just worried I won't like it. Before I had kids I used a diaphragm. Can anyone tell me if it similar to that? I started using a Keeper in 2000 and am going to switch over to the Diva Cup once my cycle starts again (I had a baby last August so I need to get the other size). I was going to get another Keeper until I saw that I can buy the Diva Cup at Madison Market in Seattle. Here's my big dilemma that I'm hoping some of your readers can chime in on: I've heard mixed things about using a menstrual cup with an IUD. I was using the BCP before the babe and am now using the IUD. Are any of you using a Diva/Keeper with an IUD? I was warned that the suction might cause it to come out, but the NP who inserted the IUD said it shouldn't be an issue. I voted mostly pads, but I plan on changing that very soon. I cannot afford the divacup, but need to make time to make a few cloth pads for at least while I'm at home. I'm changing gradually... working on this. Miss Kris- I use DivaCup with an IUD and have had no trouble. I'm actually not needing to use anything really now, the IUD has finally mostly stopped my period. I haven't had a period since my son was born 15 months ago, but I made and was using some nice flannel pads. I just can't bring myself to stuff anything up there. I tried tampons once and hated them and always used disposable pads until about 4.5 years ago when I got pregnant with my fourth child. After her birth, I used my flannel ones and they work great. Still using tampons but planning to buy a Diva cup next month. I'm still scared about using it though. You'd think after having two children it wouldn't be an issue to be so intimate with my body! DivaCup, thanks to reading your blog! I've been using reusable pads for nearly seven years. In the really hot summer months, pads can be a little too hot, so I have a Diva cup for those months. However, the Diva cup tends to press on my bladder (I know, I know, all the literature says it shouldn't do that but I am just built a little differently), so it isn't my favorite. I use the diva cup because you convinced me to try it. And you were right. It is amazing. Yep, DivaCup, thanks to you! Just started using it this month and I can already tell I won't be going back. kssnflwr-- I find the Keeper a little more difficult than a diaphragm because I insert the diaphragm while lying down; not going to do that with a Keeper! Also, the suction on a diaphragm is very easy to break because the latex is so flexible, you can grab it from the "inside" of the ring and it comes out fast. Not so with the Keeper: it isn't as flexible, and isn't as big around; I push it together so it's not circular & give it a twist or a tug (towards my tailbone) to break the suction, and that's a tad more difficult. I am more likely to feel my Keeper than I am to feel a diaphragm. But it's not unplesant, just there. Diaphragms are good experience, though: you get so comfortable with youself, and you learn how to find your cervix. Knowing what it feels like to touch my cervix helps me be sure that I know the Keeper is really in place. I guess, for someone who hasn't had kids yet, I'm pretty familiar with my geography! I recently switched to cloth pads after years of tampon use, and I feel free. I bought mine on Etsy. There are many sellers with affordable, great quality pads. Oh, the other thing: removing a diaphragm is possible with one finger, whereas I need two for the Keeper. And it's not like there's tons of extra space there to manoever! I'm intrigued by the diva cup. Is it comfy for overnight? I have a keeper AND a Diva Cup, but I like the Diva much better - it's more flexible & more comfortable, imho. And blr, I sleep in mine with no problem. I bought a Keeper several months ago -- so excited to get tampons out of my life. I used it one time, and ended up with one of the worst UTI's of my life. The doctor said it should not be related. Used it again, and had the same thing happen. So, I have not used it again -- too afraid. When I did use it, I could sense it inside me the entire time. I just don't seem to be "normal" when it comes to these things. I have a very titled uterus, and screwed up cervix, and a tendency toward chronic yeast infections. I had an IUD for 10 months and it caused such discomfort the entire time. I am comfortable with my body and I've had a child . . . so it's not that. By the way, I am super curious about the sponge tampons -- where do you get them, what's your experience and do you think it would make chronic yeast infections worse? Props to you for getting us all to switch! I'd heard of the Diva Cup before but it sounded a bit too "out there" for me :-) Thanks for sharing your experience/getting me to switch! dlr~ I always wear mine overnight... I've never noticed it. You will want to change it right before going to bed and immediately when you get up, though. OK. You ladies have convinced me. I think I will make the plunge. I am still a little anxious about the actual cleaning of the thing. I am rarely alone in the bathroom. Not sure this is a bonding experience I want to share with my 4 and 2 year old sons. Start saving for their therapy now. kssnflwr, I disagree with emily. I think the Diva cup is much easier to use than a diaphragm. My memory of using a diaphragm was that it was akin to wrestling half a grapefruit. The Diva cup is much smeller and easier to deal with. As far as insertion and removal go, the Keeper is even easier because it is more flexible. I use my mooncup most of the time (& voted accordingly) but I also use(& love) cloth pads for days I don't want to use the mooncup for whatever reason. 1) I used the sponge for years (I'm post-menopausal now) and of all the options I explored (Keeper, cloth pads, plus conventionals) I found it by far both the most comfortable and most convenient. As with any alternative, there's a learning curve, and travelling, weird work schedules can make it challenging, but that's the solution I used 90% of the time. It's interesting not to see anyone using the disposable cups. My sister, who lives in a dorm with co-ed bathrooms, couldn't see the Diva fitting into her lifestyle, so she just got Instead to try. It seems better, at least health-wise, than tampons, and like a good transition before the Diva investment. Like many... I was swayed into buying a Diva Cup (much after the actual challenge) by reading about it here, first. Thanks for the detailed discussion of how it works & how you all liked it; that was what pushed me into taking the plunge. And, although I was miserable the first day (trying to get it in the right position, etc)I fell *so* in love with it that I went on a business trip two days later taking nothing but my DC with me (and proceeded to proselytize about it to a colleague!) So... thank *you* for posing the challenge in the first place!! I tried the disposable cups when they first came out, and they worked once on a low flow/low cramp day. The next day I managed to break the seal somehow (thank god I was wearing a pad as back up). My problem is I tend to push hard during that time of the month, especially when I have cramps. I've literally pushed tampons halfway out due to cramps so I usually need both a tampon and a thin pad. I worry that I would do the same to a diva cup, or that pushing that happens due to cramps would break any seal or move it around. I started using cloth pads in December, bought a sewing machine in January, and now I'm producing cloth pads for myself at an alarming rate. Not only that, but I'm offering free pads to total strangers at an alarming rate. My stitches are a little crooked, but the fabrics are adorable (in a quirky way) and I've nearly perfected my design. If you're a total stranger and you want a free cloth pad (or if you want to swap), drop me a line! I need all the practice I can get (my dream is to open a little Etsy store). I did it. After lurking and reading all the back posts, I ordered my Diva Cup this morning. Now I have three weeks before I get to try it out. I'd been toying with this for a long time but thanks to all the frank discussion here, I feel much more confident about giving it a try. I do have one rather graphic question, what about really heavy days? You know, the ones where some loveliness manages to get past the super tampon that you changed only an hour ago? Does it work on those days? katie - congrats on taking the plunge! As for heavy days, you'll just need to change it more often. So you won't be able to stretch it out to 12 hours. Probably more like 4 hours, but it will depend on the day. I LOVE my mooncup. Love it. When I first got it I couldn't figure out how to put it in or take it out very well and I was really nervous that I had just poured money down the drain. Nope! I donated my tampons to charity and have been using my cup ever since. I love it! It's more comfortable, I can wear it a day or two before so I don't have to worry, and it's so much easier than I thought. Forgive me for this very TMI comment, but I need help deciding which size to buy. I'm 30 years old, mother of two, but I'm also very petite and had 2 c-sections because my pelvic opening isn't large enough for babies to pass through. Since I haven't had vaginal childbirth, does that affect the size? Or is it just the fact that my uterus was stretched during pregnancy? Okay, all this being said, should I go for size #1 or #2? Brand new reader here, and I use the Keeper (because it's what was available at the store - they didn't carry the Diva Cup when I bought mine!). 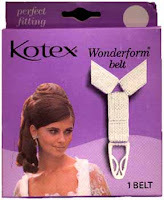 I've been using one for years along with cloth pads as needed and I would never ever ever ever ever go back. Ever. I was really hesitant at first (I guess it's been almost 10 years now, scary) but I really can't imagine my period without one now. My cramps aren't as severe and, uh, it's just kind of chuck it in there and forget about it for most of the day. Plus, no garbage created. Love it. I shouldn't post comments at 5am... hm. I voted, but to be honest I use reusable pads AND the diva cup because I just started and still need backup protection "just in case". It took me a long long time to come around to this idea of a reusable cup. I am very happy that I don't need to change it at school cause I think that would be a bit more challenging! I've used cloth pads for over 3 years now, and a Diva cup for 2. Love my cloth pads, but love the cup even more - it's super comfy and so easy to use. No way would I ever go back to disposable products. Usually I use a combination of cup and cloth. Nice challenge. I loved the Diva cup, only wish I'd discovered it earlier because I only got to use it for a year before I hit menapause and didn't need it.